Want a super quick and easy way to do something a little extra romantic? 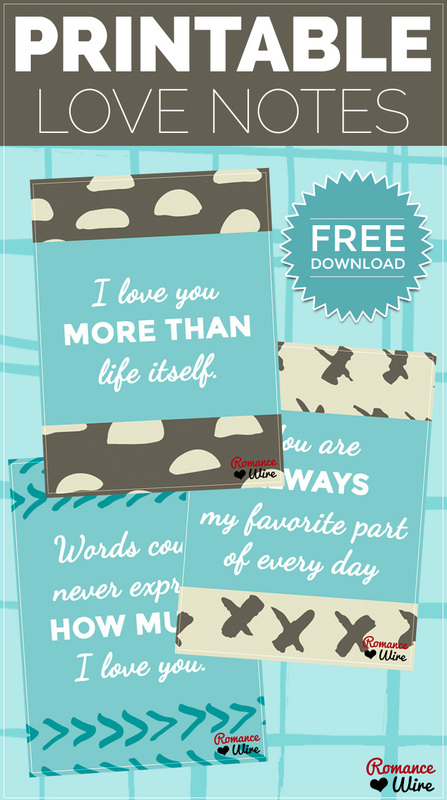 Shower your partner with your affection using our free printable love notes! Just print and cut out and leave them for your partner to find. Not sure where to put them? Try these suggestions to hide your love notes. To download and print these love notes, click on the image above. For best results use your printer’s highest quality setting and consider using card stock.